There comes a time in every girl's life when you realize that you can no longer tease your mother for using wrinkle cream, as you now need it yourself. It's a sad day when that happens. I try to take good care of my skin but I find that I'm not really willing to do much more than wash my face and apply moisturizer. Which means I need a really good moisturizer. In the morning I like to use something light that also has SPF. I don't want a heavy cream for the day since I wear makeup too and that is just too much for me. At night I want something a little heavier that will help my skin restore itself. I was sent Anavita Moisturizing Anti Wrinkle Cream as a Tomoson Blogger Promotion. No further compensation was provided and all opinions are mine. For the last two weeks I've applied the Anavita Moisturizing Anti Wrinkle Cream at night. I tried it once during the day and I found it a little thicker than something I wanted to use during the day. Also it does not have any SPF which is important for me during the daytime. I know I should apply SPF separately, but I don't. I can't see a difference in any of my wrinkles yet, but my skin is much softer after only two weeks. It happened within a few days. I know a moisturizer is working well when my skin feels softer after a few days. 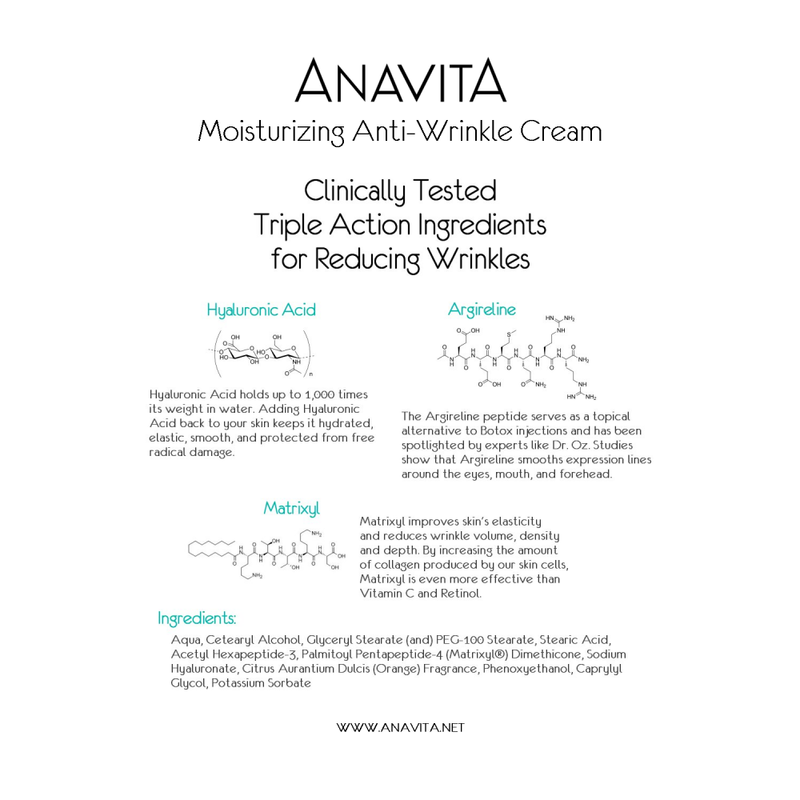 With Anavita you no longer have to buy a collection of products to fight the signs of aging since it serves as a moisturizer, day cream, night cream, and makeup base. Most people see results in 2 - 4 weeks so I will be looking for a change soon. I like that the product is an all in one product. I know plenty of women who are going to spend the time each morning and evening to apply various skin care products, but I am not one of them. With three small kids I don't want to spend extra time getting ready. Which makes an all in one product perfect for me. 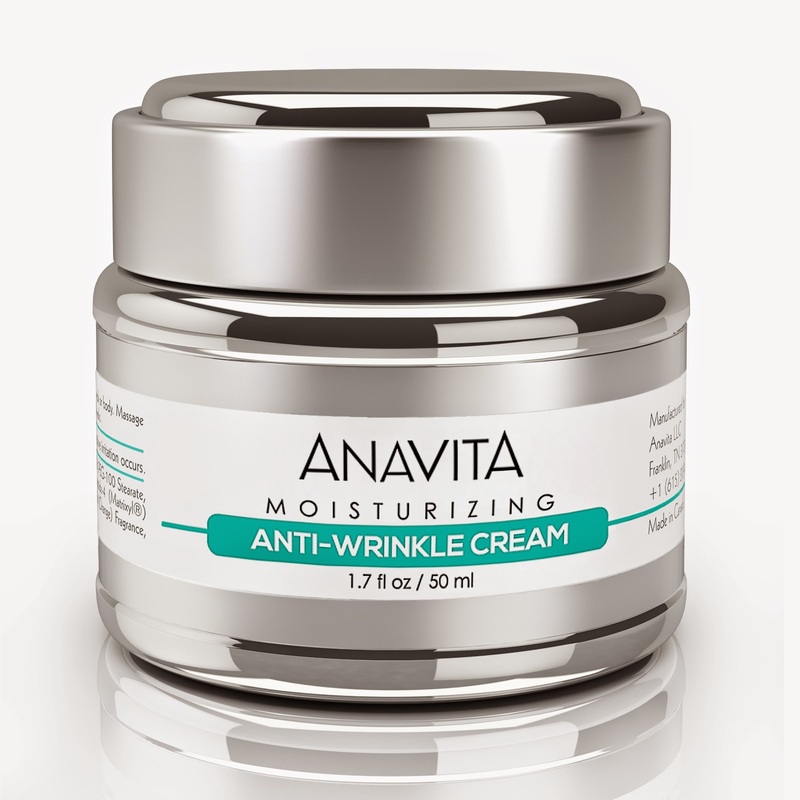 If you're looking for a great all in one product you're going to love the Anavita Moisturizing Anti Wrinkle Cream. It can be used on all skin types as well. Want to win a bottle to try for yourself? One lucky winner will get a free bottle from Anavita. Use the Rafflecopter form to enter.